Large white flowers on a mounded habit. More compact than other Arenaria montana. Low chilling requirement for flowering. 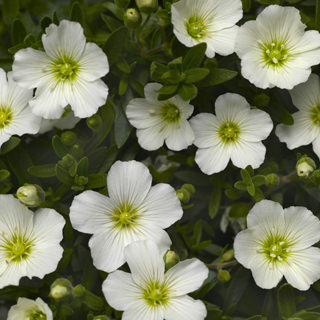 Can be used as part of a fall mix in cool coastal climates.